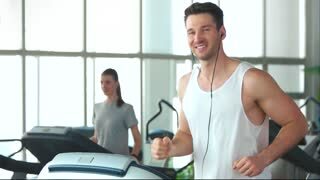 Smiling athletic man running on treadmill. Slow motion handsome guy doing workout at gym and listening music. 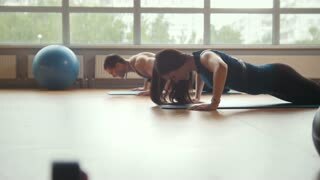 Sport and healthy lifestyle.